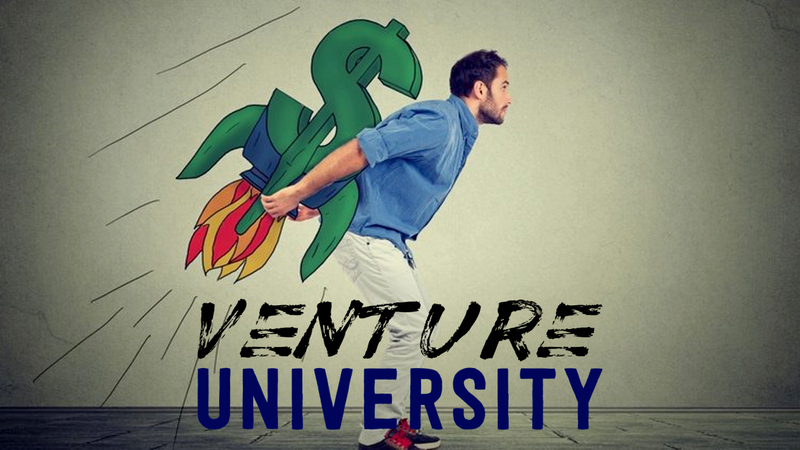 Venture University aims to curate and develop emerging investors and entrepreneurs entering the industry. Venture University aims to give talented students the chance to hit the ground running. Breaking into the world of venture capital and private equity has always been a difficult career move, even for talented students and recent graduates of prestigious universities. A new program, called Venture University, aims to make this process a bit easier. The organization bills itself both as an investment fund and an innovative trade school seeking to inspire, educate, and professionalize individuals looking to pursue careers investing in private companies or become entrepreneurs. The program offers individuals a VC/PE Investment Apprenticeship Program, derived from the concept of apprenticeships in traditional trade schools. Individuals admitted into the program join Venture University's investment fund team and take on the full-time role of an actual venture capital and private equity investor, investing real capital in real companies, and are led by experienced investors. Individuals, including undergraduate, graduate, and working professionals, can choose to do the program for one to three semesters in San Francisco, and will soon be able to pick between Chicago and New York as Venture University expands its campus and office locations. With an acceptance rate between one and three percent, Venture University is the ideal training ground for self-starters—young professionals who are outgoing, intellectually curious, love entrepreneurship, and are looking for a “finishing school” for the investment industry. The organization’s goal is to help students bypass the current, indirect path into VC/PE, which often consists of first working for an investment bank or consulting firm. With the help of experienced professionals, Venture University looks to give talented students the chance to hit the ground running directly in these selective fields, and to provide them with a network of similar people. Students live together in San Francisco for the duration of their sessions, giving them the opportunity to bond with fellow apprenticeship participants, as well as experienced investment professionals in the Bay Area. The investment fund / trade school was co-founded by Jenna and J. Skyler (Sky) Fernandes. Sky, ranked as Powerlist 100 VC, previously founded and ran one of the largest VC funds in retail, and now invests at a new leading food-focused fund. After the birth of their son, Summit, the two began thinking more about the future of education, especially as student loan debt ballooned nationwide and as they saw a generation of individuals question the value of a traditional college education. They also felt the VC/PE industry needed a better way curate the best of the best individuals looking to break into the industry, rather than having funds review 1,000+ applications for one investment position. In the process of re-inventing a trade school, they also came up with a new model for an investment fund, one where LPs (limited partners, investors in investment funds) could get greater value from the management fees (typically 2% of capital managed) they pay by leveraging Venture University's larger team to cover markets in ways that a traditional fund could never achieve. Brainstorming new structures for a revamped education curriculum, they landed on a new version of a trade school, which would focus on higher-skilled industries currently without defined career paths after college. The two thought about how to help individuals garner actual work experience after graduating, and modeled their ideas into Venture University's apprenticeship program; the school allows students to make real investments as part of their training. Individuals in the program source investment opportunities, meet with startups, growth stage companies, and investors, conduct due diligence, make investment recommendations, vote on investment committees, and even share in the financial upside from the investments made. Individuals that participate in the apprenticeship program are offered a profit sharing agreement, which creates an opportunity to recoup their tuition, as the future value created from the investments could be worth some, all, or more than the cost of the program. The school allows students to make real investments as part of their training and even participate in the upside of their investments. The school offers a Spring, Summer, and Fall session, and three different tracks: the Apprenticeship Program, the Academic Program, or the combined two programs. In the Apprenticeship Program, individuals are full-time, Monday-Friday, during the program period and work alongside investment professionals. The Academic Program, taught mainly at night, teaches students the details of VC/PE and entrepreneurship through intensive modules led by industry experts, investors, and entrepreneurs. Find more information and apply to Venture University’s programs at https://www.linkedin.com/jobs/search/?locationId=OTHERS%2Eworldwide&f_C=27123223.